Recently, I had a fascinating discussion with my friend Lee Asher. Lee is a true card magic genius, but in addition – he’s an expert on Custom Playing Cards. And he told me about some astonishing developments that have changed the world of playing cards forever. The transformation taking place in the world of custom playing cards & card design will affect you life, and your magic, more than you may expect. Lee also shares a wonderful resources and advice to make it easier than ever to start exploring the world of collectable playing cards. So watch the video now and get in on the action. It’s a brave new world out there, and none of us can afford to miss it! We have included the Custom Playing Cards interview below, if you would rather read it or cannot watch it in the above player. Aaron Fisher: Hi, everybody. Aaron Fisher here and I am joined with my good friend Lee Asher. Hi, Lee. How’s it going? Lee Asher: I’m doing very well, Aaron. Thank you for having me today. Aaron Fisher: For those of you who don’t know, Lee is a dear friend of mine for a long time. He’s one of card magic’s true geniuses, and he is currently helping organize what is turning into one of the most exciting conventions in the world. It’s actually become the largest one-day convention in all of North America, and I was asking Lee what they have planned for the Browsers Bash this year, because it’s looking like it’s going to be GREAT. Lee was telling me that something particularly exciting that’s happening – that the United States Playing Card Company is actually going to be attending the event. I’ve never even heard of the US Playing Card Company attending a magic convention before. They’re going to be coming to talk to magicians about the Custom Playing Cards market, which is a really big thing, because when I was a kid we never even considered that the US Playing Card Company knew magicians existed; and now it seems like that has really changed, huh, Lee? Lee Asher: Yes it has, yes it has. They’ve always known of our existence. They would produce Custom Playing Cards for us every once in a while; but things have changed, and now we’re a larger part of their bottom line, to be as blunt as I can. We’re a big business now. The custom playing cards market is worldwide, and everyone wants to print with the USPC, and a couple of other companies, too, but USPC… they’re the number one. I was very lucky enough to work with the head of their marketing division, and I invited them to the bash, and they said yes. I’m extremely excited that they’re coming. I don’t know if it’s the first time they’ve ever been to a magic convention, but I’m sure in recent history it’s the first time, and they also told me the only other convention that they’re going to be going to is Magic Live, so we’re in pretty good company. Aaron Fisher: Yeah, and especially considering the intimacy and camaraderie that you have at the Browsers Bash. Last year’s reports were that it was a really tremendous experience for everyone that was there – so I have every reason to believe that this is going to be at least as much fun, if not more. Lee Asher: That’s the plan. Aaron Fisher: Yeah, I really wish I could go – because you got me thinking about the custom playing cards universe. I can’t think of any aspect of magic which is growing more quickly, it’s got more excitement and passion flowing into it from unexpected and new sources, and areas that are a little bit new to those of us who have been ensconced in the world of sleight of hand, close-up magic for a long time. I thought I would ask Lee to discuss with us this world of custom playing cards, and tell us a little bit about what it’s all about – so magicians like me who don’t have hardly any experience in this realm can start to get some of the joy and excitement out of this new universe that thousands of magicians, and card historians and collectors are getting every day. Lee Asher: Yeah, it’s quite an explosion. A lot of people like to use the word ‘revolution’, but I like to use the word ‘evolution’. It’s not a fight, it just happened naturally, and it’s great. It’s really great to see that happen, especially from the magic side of things. We’ll talk more about the collecting side and the historian side in a moment; but I think most of your viewers are probably magicians, so they would care more about how this affects them as a magician. I’ve got to tell you, we’re in the age of innovation right now with Custom Playing Cards, and that’s a great thing for us. We’ll talk more about the innovation in a moment, but to sum up what I want to say is that it’s a really great time to be in the playing card kingdom right now. Aaron Fisher: It certainly seems like it. I know that I feel like I’ve been missing the boat, and that’s why I was hoping that we could have this conversation, because I assume that if I’m missing the boat on something that so many people are passionate about, that has so much to do with custom playing cards, it would make sense to ask my friend who knows more about this than just about anybody I could imagine. 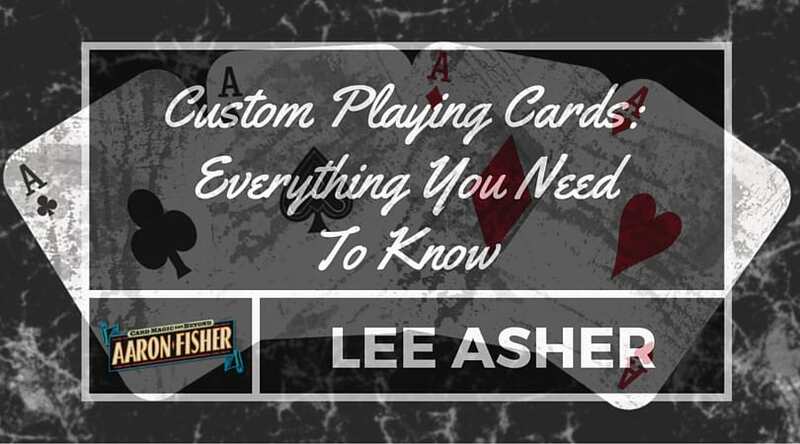 Lee Asher: I love playing cards. I do. Aaron Fisher: Yeah, and you’re a collector, and you study the processes of making them, and you’re a real creator and performer of sleight-of-hand magic with ordinary impromptu cards. I felt like you would be uniquely positioned to share with us the realities of this and what it has to do with magic, where the two things diverge and where the action is! Lee Asher: Those aren’t bicycles. Aaron Fisher: Oh dear lord. We used to buy these for a dollar when we were in college in UNLV, so I’ve just got a bunch of them lying around, so I thought I’d bring them today. You see, they still fan like they’re new. Lee Asher: They’re a beautiful card, but they were made by United States Playing Card Company, so the same company that makes the Bicycle card, and own the Bicycle brand. Like I say, they’re the number one, they’re the big dog in town, and they’re doing some really interesting things right now. They’re focused more on that custom market, and so we’re seeing really interesting things. To answer your question, I know you were going to ask me about, “Why should I care?” Right? That’s the big question. Aaron Fisher: Well, I use red decks, and I use blue decks, and I use them because they match up when I want to do one of my tricks, like PANIC, or something; or many of the other tricks in my act. I tend to go, like most magicians, with a standard classical back design that’s well recognized. For me it’s a red and blue Bicycle deck. The question would be, as a magician, is there something in this that’s about changing that platform? Of course that doesn’t matter to a lot of magicians, they just like to do magic with cards that they love…but for me…..? That’s a great question, that’s a great question. If all of your gaffs, and all of your different types of gaff decks are of the red and blue Bicycle 808 back nature; then no, there is no real reason to switch over, right? You’ve made your choice, and that’s an excellent choice. Those are great cards. There’s a reason why they’re classics; but let’s say you’re not ensconced in having all of your gaffs one different back design, and you have the flexibility to play the field and there are a bunch of different places that you can start; but the best advice I have for you is to start where you are. Start with what you like. What are you naturally attracted to? What do you naturally gravitate to? Yes, red and blue, because that’s what we’ve always done; but there are other colors that are coming out now. There’s greens, and there’s browns, and there’s different types of red and blues, and golds, and silvers, and metallics. Again, it’s a whole new world. Where do you start? The answer is: Start where you like. We can get a little more specific in that. Maybe you like a type of design. You’re into one way design. Most magicians would not be into one way back design, but there are some. Let’s say you’re a magician and you like that symmetrical kind of back design; well, there’s a whole bunch of new artwork that’s coming out that kind of plays in that realm. It’s not necessarily the standard kind that we’re all used to, but they’re taking old ideas and trying to make them one of them, and that’s one of them, is taking these designs and really pushing them forward, because you have all these different kinds of graphic designers and artists that are entering into this field, and they’re not magicians; they don’t really care about cards, per se; but they do care about the design and the artwork. You’re seeing these guys come in now, and that’s really fun. More importantly, let’s say you are a magician, and let’s say you’re doing something of the bizarre nature, right? Well, would it make sense to have a deck of card, let’s say there’s a guy named Chris Odijenko, I think his last name is, and he has a deck called the Occult Deck, and … Give me a second, it’ll come to me. Lee Asher: The Oracle, that’s it. The Oracle Deck, thank you. It’s basically like a Ouija Board. It even comes with a mini planchet. How awesome is that, to use that in your magic? That’s something that a red and blue back can’t give you. That’s a layer, some texture that cannot happen with that kind of deck; but it can with this kind of deck. We’re seeing these themes start to pop out, so that’s another thing. Maybe you like to collect themes. People like cats. Well, there’s a tonne of different decks that have cats. Now, some are better than others, I’m not trying to judge. Aaron Fisher: I thought it was just relatives that bought me cards for the holidays that like cats. Lee Asher: There are actually some interesting cards like that. I personally would not use them, but there are interesting cards with cats for designs. Like I say, start where you are, gravitate towards what you like. Maybe it’s the type of artist. There are famous artists that are getting into creating custom playing cards, I can name a whole bunch, but one that comes to mind is Alexander Chin, is a really great graphic designer who started to create a deck of cards called the Seasons Deck. Aaron Fisher: They were wonderful. They came with the box, and they were really amazing cards. Lee Asher: It was like black and white, and then you fit the boxes together, and they made it a larger design. We’re talking high class, really beautiful, very well thought-out stuff. Do you have to use that in your magic? No, but would it help? I think it would. Like I say, it adds this layer of authenticity. Your prop is interesting, and so let it be interesting. Let it tell its own story so that it helps to define the magic a little better, it helps to drive the effect home more. Aaron Fisher: Yeah, it gives you something to work with, and it gives a way to add variety to something. For those of us that really like to work with predominantly cards when we’re performing, anything different is good. Anything to give the audience a new sensory experience. As long as it maintains the clarity of the effect. It seems to me as long as the spots are clear, as long as you can tell what the spots are meant to be. If you look at a deck of cards and you can’t tell a diamond and a spade, then you have to consider that. There’s so many of these cards, like Alexander Chin’s, like you were talking about, where these things have been carefully considered, and they don’t take design out of the realm of function. Form follows function, right? So if you can’t read the cards, it’s a little bit tricky. Lee Asher: There are plenty of cards out there that don’t follow the kind of formula that us magicians like, and that’s fine. Those are fine; but there are plenty that do follow. Alexander Chin does have a bit of a magic background, so you’re going to see a lot of his cards usable for magic. Again, they’re beautiful cards. You’ve seen them. They are just beautiful, so why not have a prop that makes the audience appreciate what you’re about to do? I would agree with you, up until about 2004. In 2004 there was, like I say, an evolution in the custom market with the Black Tiger Deck from Illusions. Since then, United States Playing Card Company has been making all these different types of cards and selling them through Walmart, and through their distribution lines. You can walk into a Walmart right now and see a dozen, maybe two dozen different kinds of United States Playing Card Company decks for sale. To say that only the red and blue rider backs are the only ones that pass muster; that’s not fair anymore. Like I say, they have kind of saturated the market with all these different kinds, and so I don’t think people are going to think they’re trick cards. Even more so, when you put them in their hand, like “Here’s my Season Deck, have a look.” They get to touch and feel, then that throws all of the doubt out the door. Lee Asher: Don’t get stuck under believing that, “Oh, if I introduce a deck that they don’t know, they’re going to think it’s tricky.” I don’t find that to be the case. Aaron Fisher: I find that whether or not you have a tricky deck, or a not tricky deck, or a fancy deck, or a deck of Bicycles that were purchased from a remainder rack in a Costco; whether or not the audience thinks you have a tricky deck has more to do with how you present the effect, how clearly you demonstrate. First you get their interest, then they care enough to inspect the deck, so to speak, and then at that point it’s up to you to do some magic that has proof built into it – the conviction and the proof that leads people to understand that these cards are ordinary in every way they know of, with the possible exception of having magical powers. I have to agree with you on that, that whether to not they think the cards are tricky is much more a function of what you convey with your handling and presentation. Lee Asher: And your body language. Aaron Fisher: All of it. Aaron Fisher: You can be accused of having a trick deck when your deck is as normal and pure as fresh snow. Lee Asher: It happens all the time. Aaron Fisher: Yes, but you can actually perform in such a way that no amount of proof will convince them that you’re above suspicion, because you are just shady. I have to say that I totally feel where you’re coming from on that front. One of the things that keeps happening to me a great deal is, I will get Facebook messages and emails from people telling me that they have a campaign going on a platform, which is just gaining this tremendous momentum: Kickstarter, which seems to be the hotbed of where all of the action is. I’ve checked it out, I’ve seen some of these projects, I’ve seen some really cool ones, I’ve seen some ones that are slightly more half-baked, just from my own perception. Give us a beginners guide to Kickstarter for card magicians. Lee Asher: It’s pretty cool. It’s pretty cool. Aaron Fisher: What do I do with it? I don’t know. Help me. Lee Asher: I’ve always said that magic is a microcosm of life, so what’s happening for us in the playing card world on Kickstarter; it’s happening for other things in our life, too. You can find amazing stuff happening on Kickstarter. For us specifically, it started off a couple of years ago where there was under 50 decks that got funded; and now there’s upwards of 5, 600 decks that get funded per year. Of those, at least half, if not more, get funded. It’s pretty impressive. That’s where you’re really seeing all this grassroots innovation, because it’s happening at this level where it doesn’t cost the artist that much to innovate. He’s not a big company, he doesn’t have to go out and research and develop all this stuff; he crowdfunds it. If the crowd decides that it’s not cool, then he doesn’t fund it, and he doesn’t waste his time on the R&D. The things that get funded are the things that get pushed forward, and the things that are pushing the envelope. Really clever stuff. What’s even more interesting, is now you’re seeing the manufacturers hanging out on Kickstarter, watching what’s going on, and trying to help these artists in making and manufacturing what people want to see. You’re talking about all these processes that maybe were old, but have now become modern again; like being able to lay foil on the back of a card. I’m not talking about the box, I’m actually talking about the actual back of a card. I’m not talking about printing metallic ink, I’m talking about heat stamping foil on the back of the card. It’s crazy, but this is the kind of stuff that’s being pushed out because of the innovation that’s happening through the crowdfunding on Kickstarter. It’s really great to watch, and I highly suggest that you should get on there and just type in ‘playing card’ and see what comes up, and you’re going to see artists from all over the place just putting their art on playing cards. I saw a guy who’s a 3D metal worker, and he created this … I don’t even know what it is, it’s just this thing that sits on top of the tuck box, that’s metal, with gears, and it’s amazing. It’s amazing. His name is Chris Mathis, and you can Google him, it’s the Chris Mathis deck. Really clever stuff. How does that translate to help us as magicians? That deck specifically, not so much; but in the scheme of things, again, we’re watching this innovation happen. The better our tools become, well, I don’t have to explain that, right? The better our tools become, the better we’re going to become, and more possibilities open up. I think it’s fascinating, really fascinating to watch what’s happening on Kickstarter. Aaron Fisher: Yeah, it sounds like there’s a lot of incredible ideas there. Lee Asher: There’s a deck of cards by a guy named Jackson Robinson; he funded for $189,000. Think about that. Think about how many people around the world wanted that deck. That’s impressive, right? That’s really impressive. That’s the kind of stuff that’s happening. This amazing surge of interest in custom playing cards, and not because of magic, even collecting for that matter, it’s just, here’s an artist, here’s the artist’s fanbase, and he’s taking them along for this wonderful journey. Part of that journey involves playing cards. How lucky are we now? That’s what I’m talking about. Aaron Fisher: I think one of the things that makes you so aware that new things are happening is that ever since I’ve known you, you have been very interested in the history of playing cards; as a collector, and as just a real lover of magic history. My own love of magic history was spawned by my desire to learn the best magic, and the more I wanted to learn about it, the further back I had to go to find where the core ideas were that made it all happen. You have had a great appreciation for that for a very long time, and I know that your father’s a renowned historian and collector as well. Custom Playing Cards – Where Do I Start? Lee Asher: That’s where it all stems from. Aaron Fisher: Well, that’s where it started, right? You didn’t have to take an interest, but you really did, long before I did, because we’ve been buddies now for over 20 years. To me, the history of these playing cards, it has an awful lot to do with what makes it fascinating to me, when we think about our beloved Bulldog Squeezers, and our Tally-ho’s, and our Aristocrats; and I don’t mean the joke. There is a fascinating history to playing cards, and I know that that’s one of the things that’s been driving your passion this whole time. Lee Asher: Yeah, yeah. Just like magic, playing cards have a very rich history, and you can kind of break it up into European playing cards and American playing cards. My European playing card knowledge is light, I don’t know a lot; but the American side of things, like the North American, American side of playing cards, I do care about. I think it’s super fascinating. Just like I say, United States Playing Card Company, the big dog, they’ve been around a long time, and there were other companies before them, and they’ve kind of consolidated and merged. It’s extremely fascinating. Other than my dad getting me hooked on being interested in that kind of thing … I do seek out knowledge. I have gone on places like ancestry.com and searched for playing card people like Andrew Dougherty, for instance, the guy that created the Tally-Ho deck. I do care about his lineage and his 3 sons, and where he came from, and what he did for the playing card world, which translate to us as magicians. He was one of the first guys to create his own finish so the cards would slide better. That’s interesting, especially for us as magicians. Talking about squeezers, he and New York’s Consolidated Card Company kind of got into an argument over how cards should be displayed. Playing cards, a lot of it’s dictated by the games that we play. That was dictated by whist and bridge. If you think about it, these are games where you hold a whole bunch of cards in your hand, so how do you look at 13 cards in one glance? Andrew Dougherty came up with his solve for that problem, and a company called New York Consolidated Card Company came up with a solve for that company, and then it was about marketing and who could market better. What did the masses choose? The masses actually chose the New York Consolidated Card Company’s squeezer concept. The indices that we know today, like these indices. This is New York Consolidated Card Company’s concept of how we should look at playing cards. Like I say, it all stems from being able to squeeze the card in your hand so you can get a full read in one glance. Again, we’re talking about innovation. These are two companies that are innovating, in the end helping the end user, the consumer. It’s super fascinating, and I love that. I love that. Aaron Fisher: We used to know some guys in Las Vegas that innovated methods where they would like to be able to tell what the cards were from looking at the backs. Lee Asher: No, no. No. Aaron Fisher: That was strictly a private affair, right? You wanted to know what the high cards were. I just want to be clear, you just meant from the faces? Lee Asher: Correct. These companies are in business to sell playing cards to people, and not to sell marked decks to people. If someone finds out you’re making marked cards, they’re not going to buy your cards any more. They were legit. Aaron Fisher: Integrity was really important, right? Lee Asher: That’s right, that’s correct. Aaron Fisher: Really fascinating. Tell me, this is something you alluded to the other day, and I went “Ooh, I’m going to want to hear more about that.” We all love the Rider back. I was always a big, big fan of, you probably know the number, but not our 808’s as much, which had the little cherubs on the bicycles, very mystical little cherubs on the bicycles; but I always loved the ones with the fans, and the fans had these bicycles on them. Tell us all, if you can, not to put you on the spot, but where does the bicycle come from? Lee Asher: You’re talking about why do they use bicycles in the Bicycle brand card? Aaron Fisher: Yes. Where did bicycles come from? Lee Asher: I have an answer, but it could be urban legend, I don’t know. United States Playing Card Company, they might say it’s true. I don’t think anyone is alive anymore to confirm it, but before United States Playing Card Company was United States Playing Card Company, they were Russell Morgan, and there was a printer at Russell Morgan that said, I think his name was Gus, Gus Barrens or something like that, and they asked their people, “Hey, what do you think we should have on our playing cards this year?” And Gus raised his hand and said “I think we should have bicycles.” That’s really interesting. Not because he picked bicycles and that was the winner, but because he was being topical. Bicycles were the new thing. That was kind of all the rage when he said it. He just put two and two together, and thought well, if we make our decks topical, it would work; and it did work. That’s a wonderful lesson that we can extrapolate from that for magic: be topical. Sure, the blue and reds are Bicycle cards, but like I say, if you use that Ouija deck with a routine where you’re doing some kind of cold reading or something, that’s topical. Now that makes sense. Now you’re layering your routines, you’re giving it texture. That’s what makes us better performers, and the magic more powerful. 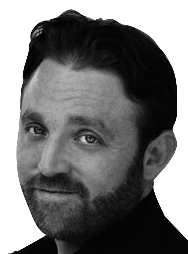 Aaron Fisher: If you listen, folks, to the story Lee was just telling, and Lee is a raconteur like no other, and a story-teller, a grand story-teller of the old style, and you think of Ricky Jay, and how Ricky’s show works. It’s fascinating to listen to some people tell a story. Totally separate from the effect itself of magic. The more interesting you are, the more interested you are in the world around you, the more fascinating it is to hear you share a piece of information. The thing that I love so much about history of all sorts is that it helps us make sense of the present and even the future, because like you were just saying, what we consider to be a very antiquated idea like the bicycle, was actually a very topical idea at the time it was made. It was not an old thing that people used at the beach, or to climb up mountains for fun on Saturdays or in competitions; it was a new … It was like the Segway of its day. It was a brand new, far-out expensive thing that you could get that was all the rage. This, as a magician, this really points out to me what I think the most relevant, and if you’re looking for a reason to care about the history of playing cards, you can do no better than that this: the more you know about what’s actually fascinating and interesting about the cards in your hand, the better. On a human level, because these days people are excited by ideas, people are ready to hear something interesting, and one of the things that puts up a barrier between magic and audiences is, there’s a real sense that there’s nothing new here. If you can break that pattern by sharing something interesting, and real, and insightful; that all of a sudden creates a transition and a context for the magic that you’re going to perform. This is all stuff another wonderful playing card collector and historian, it was Bill Kalush that shared this book with me, Magic and Showmanship – such a profoundly useful book. One of the great point the author makes about casual conjuring, about not being a stage performer, is that if you know what you’re talking about, if you have something interesting to share with the audience, it lends a authenticity and authority to what you are doing, that all by itself makes the magic that follows it feel that much more authentic and that much less like a puzzle. I would say to our magician friends, if for no other reason than to be able to share something real with your audience that they really haven’t heard before. They may have heard someone say “Pick a card.” They may have dreamed that they heard a person say “Pick a card.” Or seen a movie where someone said “Pick a card.”; but then to hear someone share with them something that has a really fascinating element to it, well that means that this is a fascinating situation they’re in. Then when that same person says “Take one of those out of there.”, all of a sudden you’ve changed the entire ground before you started. Lee Asher: It’s much more relatable now. Aaron Fisher: Yeah, and that alone is enough of a reason to make me want to take a greater interest in the history of the playing cards themselves, right? Let’s assume that we want to do that. These are a lot of great ideas, now let’s assume that we are interested in collecting and the world of collecting, which you know, if you’re not careful it can get pretty expensive, although that’s not the point; it doesn’t have to, clearly; and the history of playing cards. Well, Lee happens to be a real authority, my go-to authority on that, too. Lee, can you give me, as a beginner, the resources? Where should I go if I want to start to poke around, but I don’t want to find myself in too deep water too fast? There’s the antique collector, the vintage collector, and the modern collector. The antique guy is anything pre-1930. If you were collecting decks from 1880, you’re pretty much considered an antique collector. Anything from like 1931 to about 1995 is the vintage world. I love those kinds of decks. That’s your Jerry’s Nugget right there, that falls into the vintage area. Anything 1996 and on is the modern world. Like I say, you’ll find forums that cater to these specific categories. The one that I spend the most time on is the one owned by the American Playing Card Collectors Association, called the 52 Plus Joker. They also own the world’s largest playing card forum, and it’s called playingcardforum.com. You can go there, you can lurk; what that means is you don’t have to sign up or give your email, or anything, you can just go and look and read, and not have to ask questions, or whatever you want. That’s probably the best advice I can give you if you just want to put your toe in, is go to the playing card forum and start looking around. It’s broken down into sections, like the playing card plethora is where all the modern stuff sits. Then there’s the vintage area, and in there mixes in with the antique stuff. The guy who owns the board, because it’s actually owned by one man who is the president of the 52 Plus Joker, and then he gives it to the club for their use, his name is Tom Dawson. He’s the world’s premier expert on American playing cards, he and his wife Judy. There was a guy named Eugene Hawkman who wrote the Hawkman Encyclopedia of American Playing Cards. He had it in booklet form, and then at one point Tom and Judy put them together, and this is after, I think, Eugene passed away. Tom and Judy put all of the volumes together into one book … I have it right in front of me. How interesting is that? It’s on my desk. It’s a major, major research. It’s called the Hawkman Encyclopedia of Playing Cards, and it’s a wonderful, wonderful book; but, pretty much everything stops in the vintage world here. There’s very little modern talk in this, because this was written before the modern explosion. Again, that’s where the playing card forum comes in. Depending one what you like to collect is where your search will take you. My best advice for the beginner is go to playingcardforum.com, have a look around. If you like it enough, register, it’s free. You just put your email in, your name, and your username, and boom, you’re part of the board, and now you’re in. You start looking around. What’s really nice about playing card world versus magic world, is there are no secrets in playing card world. Magic, there are secrets, so that’s understandable; but in playing card world there’s very little secrets, so usually the people are very friendly and they want to share as much info with you as possible. I’m not saying that doesn’t happen in the magic world, but it doesn’t happen as quickly in the magic world as it does in the playing card world. You’ll find that it’s very friendly, very easy. There are plenty of people who will answer your questions. There are plenty of people who have had the same questions as you. If you want, like I say, please come and check it out, I think you’d like it. Aaron Fisher: It’s a very friendly world of collectors there? Aaron Fisher: … of helping, fraternal-type souls? Lee Asher: Absolutely, and then the next level if you really get into it and you start funding Kickstarter things, and you start buying decks on eBay, and you start going to your local magic shop, and you join 808 Club, which is the Bicycle Club; then you have what’s called the 52 Plus Joker. That’s the actual organization, where for 25 bucks a year you get a membership that gives you access to all of our archives for the last 25 years. 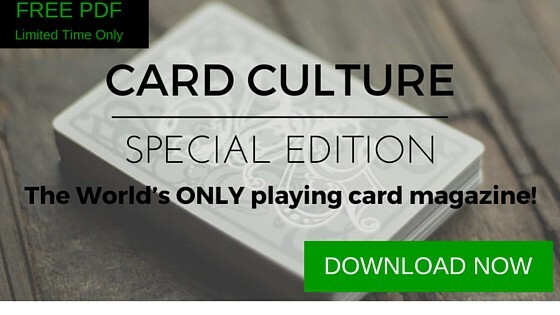 You also get a printed quarterly, and you get a monthly digital magazine called Card Culture, and it’s a pretty great club. I like being part of it. I kind of got sucked into it back in 2009, and actually this year I’m going to be the president. I went from being a lurker, to the president, in a handful of years. That’s how much I love it. It’s great, it’s really great. Aaron Fisher: Every time we talk I can always tell that your excitement’s just growing about it, and what you’re getting out of it is growing, and it finally got to the point where I needed to know, because you’ve always been the trailblazer on so many things. Lee Asher: We’re in a golden age right now, man. We really are. We really are. Aaron Fisher: It’s a boom. It really is a boom. Lee Asher: You mentioned Bill Kelush and the Henning Nelms book. Bill sits with me on the board of the 52 Plus Joker, he’s in deep with me, and he also owns Expert Playing Card Company. Going back to Kickstarter, he too sits on Kickstarter and watches these artists, and tries to help them push the envelope. He’s a manufacturer. He owns Expert Playing Card Company. To have someone like him who has such a love for playing cards at that level, really pushing the industry forward. Like I say, we’re in a golden age, and it’s great. It’s really great, and no, there’s no glut. I know there’s a lot of magicians think, “Oh, there’s a glut, there’s a new deck coming out every minute.” And that might be true, but again, we are in a golden age, so enjoy it. Aaron Fisher: Yeah, right? And it sounds like the very next best opportunity to enjoy it, along with a lot of other things, is going to be at the Browsers Bash. When is it? Lee Asher: It’s April 2nd, that’s Saturday, April 2nd, so it’s coming up soon. Aaron Fisher: Where is it? Lee Asher: It’s in Toronto. It’s held at the Monte Casino Hotel and Events Center, and it’s put on by the Browsers Den, which is the oldest magic shop in Canada. Aaron Fisher: That’s wonderful, that’s a real magic store in Toronto. Lee Asher: A real brick and mortar magic shop. Aaron Fisher: I’ve been very fortunate to lecture there, and I can say it’s a wonderful group of people, and the Torontonians are a wonderful group of magicians. They’re a lot of fun. Aaron Fisher: Yeah, browsersden.com/bash, and do not worry, there’s going to be a link to it here on this page. One more time, I’ll read it very clearly: www … Of course, you don’t have to type that into your browser anymore, right? See what I did there? Your browser … browsersden.com/bash. Just like Fisher: No C. Bash, right? It’s going to be a really sensational convention. I personally wish I could be there for it, but I wanted to send out all of our love from down south, from those of us who can’t be there, and thank you so much for sharing with us, just the tip of your extensive wisdom on custom playing cards and the modern world of playing card design, and collecting, and the intersection of that, and history and magic itself. I think we all have a lot more perspective on what it is, what it’s all about, and exactly what it may hold for us depending on a wide variety of our interests and our experiences in magic. Lee Asher, thank you so much for joining us. Lee Asher: My pleasure, thank you for having me today. If anyone has any questions, or wants to get ahold of me and talk to me more about Custom playing cards, it’s easy. You can go to leeasher.com, or you can email me lee@leeasher.com, and I’d be happy to answer your questions. Aaron Fisher: Lee has made an awesome gift available that will give you a real introduction to what it’s all about, that we’ll also have available here on this very page, so look for that right near this video. Lee Asher: It’s the special edition of Card Culture. Like I say, it’s that digital magazine that comes out monthly for just the membership of the 52 Plus Joker. We’ve put together a special edition, and so it’s our pleasure and honor to share it with you. Aaron will give you the details on how to get it, but again, if you have any interest, please drop me a line, and we’d love to meet you and hang out and talk about custom playing cards. Aaron Fisher: Yeah, and there’s definitely something in that special edition for everyone. I looked at it, and I was like “Oh, this is fascinating, this is fascinating, this is fascinating.” It’s really curating a lot of incredible information, and making it available on a very regular basis. At Aaron Fisher Magic and Conjuror Community, that’s our mission, too, is to make sure that everybody is getting what is up to date, what is working now, and what matters for anyone who cares about magic, custom playing cards, and using our resources, our modern resources to do the very best magic we can, and get the most joy out of magic that we possibly can. Thanks again, Lee, and thank you to everyone for watching. Come to the Browsers Bash…Saturday, April 2 (9am-9pm) in Toronto, Canada!. If you love custom cards, check out Lee Asher’s website.